The LaLa: Do You Know What It Means to Miss New Orleans? The LaLa delivers a high-energy, hand-clapping, good time! This show features a spectrum of music from the Louisiana bayou, featuring music by artists like Fats Domino, Dr. John, Professor Longhair, and Huey Smith. 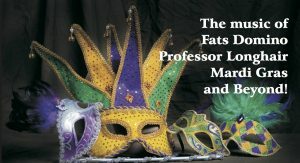 But it’s more than just Mardi Gras. The LaLa dives into the roots of Rock and Roll and Rhythm and Blues with songs by the likes of Chuck Berry, Jerry Lee Lewis, and Hank Williams. The lineup is led by pianist/vocalist, Mike Levy, backed up by a top-notch full rhythm section. Additionally, this show will feature JJA Jazz Award winner, Lamont Arthur, on the B3 organ and Chef Records recording artist Lorenzo Levy on guitar. Fourteen year old Lorenzo is a child prodigy blues/rock guitarist who’s been gracing Tucson area stages since the age of eleven. The show is bound to leave you with a smile on your face and tap in your foot! Laissez les bons temps rouler! Advance Tickets: Orchestra section $22, Mezzanine section $17 (all fees included). If not sold out, we will have tickets at the door: Orchestra section $25, Mezzanine section $20, cash or check only. Handicap seating is available. Please call Richard at 879-3925 for information. 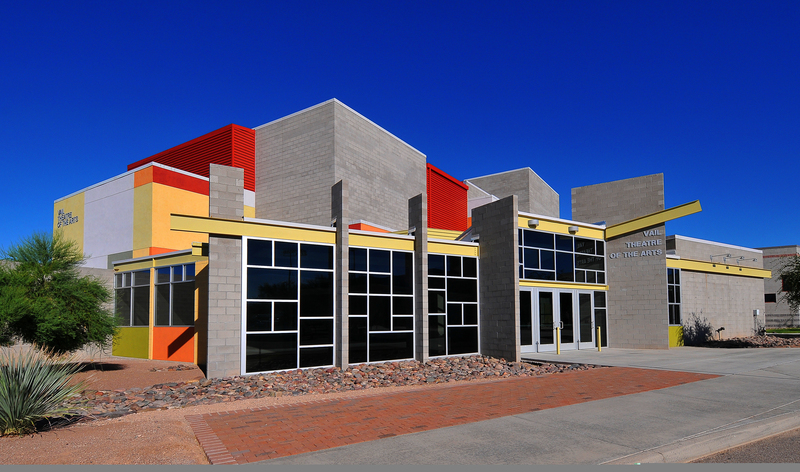 Note: The Vail Theatre of the Arts is located on the southeast side of Tucson, 2 miles north of I-10 and 2 miles south of Valencia, about 1/2 mile east of Houghton on Mary Ann Cleveland Way. Turn at the entrance to Empire High School. If you haven’t been to the theatre before, we strongly suggest visiting our location page .